​Registration for 2018 Husker Women’s Basketball Camps will be opening soon. Take the opportunity to learn from some of the best athletes and coaches in the country in some of the nation’s best facilities, with a variety of camps available for all ages and skill levels. 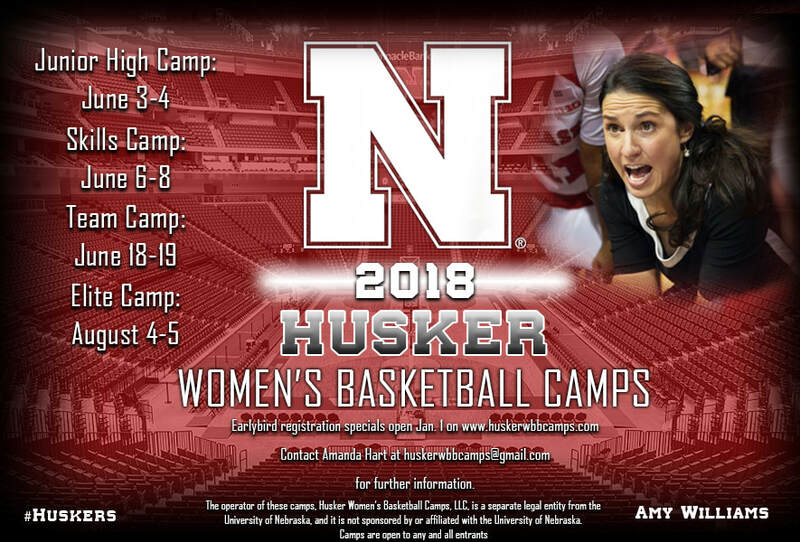 A breakdown of the 2018 Husker Women’s Basketball Camps is on the Camps tab. All camps will take place at Hendrick’s Training Complex. Contact Amanda Hart at huskerwbbcamps@gmail.com or 605-999-0621 with any questions or for additional information.